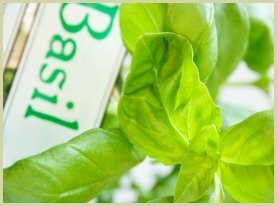 Sweet Basil Herb | The Tastiest, Most Popular and Widely Used Basil of All! Most Popular Variety of All! 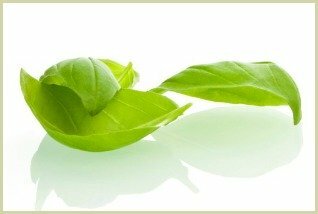 Of the many varieties available sweet basil (Ocimum basilicum), is the most popular and commonly used in cooking, especially in the West. Head east to Asia, and it's varieties like cinnamon, holy, lemon and Thai you'll find used in recipes. Its name is thought to come from the ancient Greek “Basilikon Phuton”, which means royal or kingly herb. This fragrant herb was originally native to India, and grown for more than 5,000 years! Eventually word got out and it spread around the world along the spice and trade routes, becoming an important part of many cultures and cuisines. It was closely associated with the Hindu god Vishnu, and was used in the swearing of oaths. After the resurrection, it's said to have been found growing around Christ's tomb. And it is still used in the Greek Orthodox Church to prepare holy water. In Italy, it came to symbolize love, and earnest young lovers would wear a sprig of basil in their hair to symbolize their intentions. There is evidence that it was used in ancient Egypt in the embalming of mummies, whereas, in ancient Greece, it was a symbol of mourning. The Vietnamese tear up fresh leaves to serve with the popular pho soup. Whilst in Thailand it's used to flavour the famous Thai chicken, red curries and many other meat and vegetable dishes. It's typically used in Italian cuisine to add flavour to any kind of tomato recipes, sauces, salads, meats and of course the famous pesto and all kinds of pizza. Note: When using, it's best to tear the leaves rather than using a knife and to add only at the end of your cooking to retain the flavour. Hindu and Chinese healers have been utilizing this it for many years, as it contains powerful antioxidants that can protect cells against damage and has been shown to help clear and sharpen the mind. A particularly good way of enjoying the benefits is to brew a tasty cup of tea. Click here for my recipe. It's ideal for growing at home and with a little care can be grown in the garden, in containers or on a sunny windowsill. Whilst sweet basil is the variety you most often get when buying this herb, cultivating it yourself gives you a much wider choice. See detailed step-by-step tips on how to do this.